Ilanga CSP1, South Africa’s first 100% black developed Concentrated Solar Power (CSP) power plant achieves Commercial Operation Date (COD). Ilanga CSP1 is a truly transformation project that was conceived and developed by a 100% black developer (Emvelo). Its two top executives (CEO & CFO) are black females, two-thirds of its board members are black and its chairman is black. The 100 MW Concentrated Solar Power (CSP) Station has been conceived as an integrated infrastructure project with a lasting socio-economic impact in the Karoshoek Solar Valley area, Upington. Ilanga CSP1 will provide clean, sustainable and dispatchable energy to around 100,000 South African households. • 93% of its staff directly employed to operate and maintain the plant during the first 3 years are South Africans, 50% of whom are from the local community within the 50km radius of the plant. Ilanga CSP1 has achieved Commercial Operation Date (COD), a bid window 3 project of the South African Renewable Energy Independent Power Producer Program (REIPPPP). The project achieved financial close in 2015 and construction of the R11 billion rand facility commenced in November 2015. The project was engineered, procured and constructed by Dankocom EPC, whose consortium partners are Cobra Energia, Sener and Emvelo. The 100 MW plant uses Sener’s parabolic trough technology to generate renewable, sustainable and dispatchable power from the sun. According to Pancho Ndebele, founder of Emvelo and developer of the project “Ilanga CSP1 is a flexible power plant and has been designed to operate as a semi peaking power station during the day time and up to 5 hours at full load after sunset. Night time electricity generation is achieved with a molten salt energy storage facility”. Ndebele added, “the completion of Ilanga CSP1 demonstrates that Black Industrialists and entrepreneurs can conceive and lead the development of large renewable energy infrastructure projects in South Africa and beyond”. 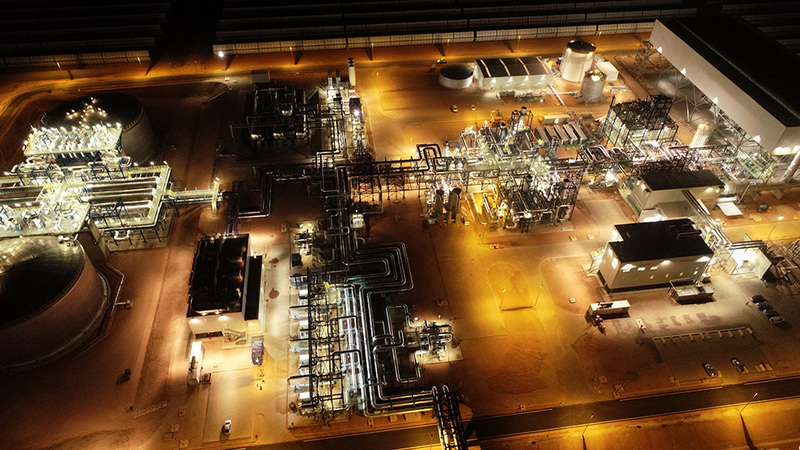 Ilanga CSP1 has helped regenerate the economic, social and industrial fabric of the Northern Cape during the construction phase, “the project clocked over 6 million working hours on site, 85% of the working hours clocked were by South Africans most of whom were local. We had 1500 construction workers on site at the peak of construction and around 1300 were South Africans” said Rafael Alonso, Dankocom EPC. Now that the plant is operational, the plant will produce clean energy to serve around 100,000 South African households, the plant will displace over 340,000 tonnes of carbon dioxide each year. In preparation for the Operations and Maintenance (O&M) phase, IIanga CSP1’s O&M Operator (Seratype O&M) whose consortium partners are Cobra Energia, Sener and Emvelo identified and selected 50 candidates, mostly youth within the 50km radius of the site, Dawid Kruiper Municipality, ZF Mgcawu District Municipality to attend the first CSP Operations and Maintenance training course in Upington. “The plant is employing 62 staff directly and will have around 30 positions indirectly, 93% of the staff directly employed during the 3 year warranty period are South Africans and after the warranty period the plant will gradually get to a 100% South African operation”, said Gonzalo Ochoa, Plant Manager, Seratype O&M. 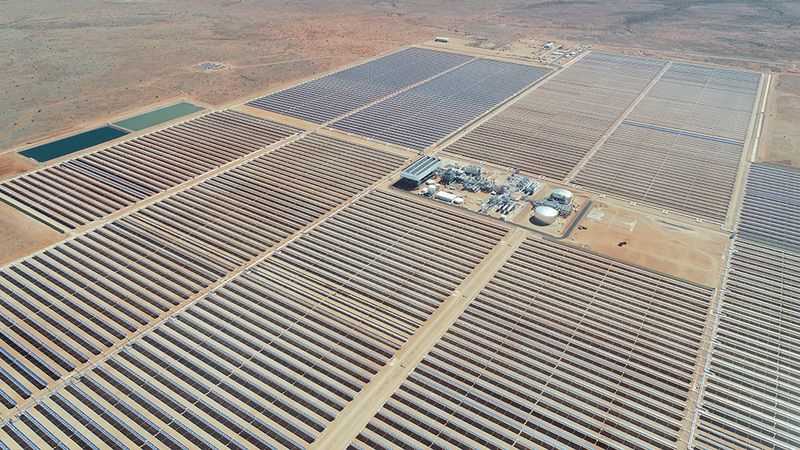 The attainment of COD certifies the plant’s correct operation following commissioning and testing and has been handed over to the owner, Karoshoek Solar One, a consortium consisting of Emvelo, PIC, IDC, Karoshoek SDI Trust, Grazigystix and HCI. Tshepo Rachidi, chairman of Karoshoek Solar One said, “Ilanga CSP1 ticks all the boxes in terms of proactive black economic transformation, developed by a Black IPP Emvelo, its two top executives are black females, CEO Niroshma Chetty and CFO Zandi Nkone and two-thirds of its board members are black and is 80% South African owned”. The collaboration in the construction of the project by the Dankocom EPC partners has created a platform to build similar projects at the 1000 MW Karoshoek Solar Valley Park, which already houses Ilanga CSP1 and has a pipeline of four future Ilangas; CSP2, CSP3, CSP4 and Tower 1 that are shovel ready with a combined capacity of 550 MW. “With CSP activities at Karoshoek Solar Valley, we are mobilizing investment locally and internationally to contribute to the President’s economic drive and in doing so we hope to create a solar generation of present and future youth workers and for the Northern Cape to become the global hub for the deployment and industrialization of CSP components.” said Ndebele. Emvelo is an African green economy company with interests in the development, construction, management, operation and maintenance of renewable energy and green infrastructure assets that contribute towards sustainable socio-economic development, poverty alleviation and job creation. In 2009, Emvelo conceived and led the development of its flagship 100 MW Concentrated Solar Power Station (Ilanga CSP1) that uses the parabolic trough technology. It is the developer of Ilanga CSP2, CSP3, CSP4 and Tower 1, that are shovel ready with a combined capacity of 550MW.